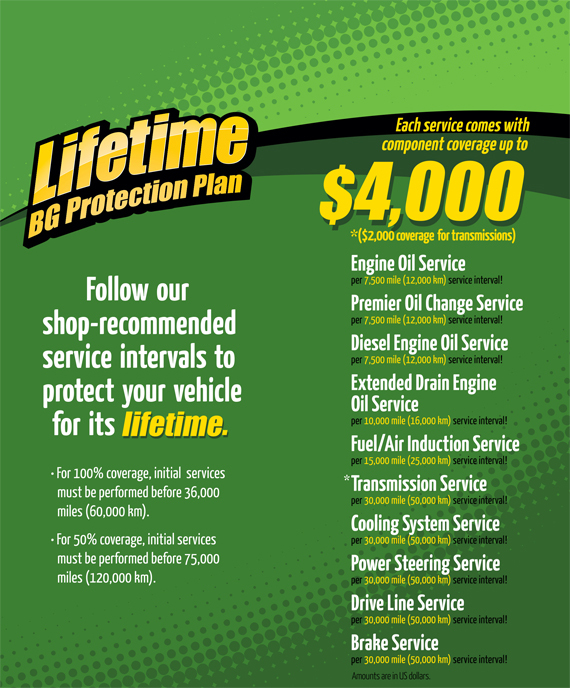 The Lifetime BG Protection Plan supports the seven major systems serviced in the BG Automotive Maintenance Program: fuel, engine, transmission, drive line, coolant, power steering and brakes. Just follow our shop-recommended service intervals to qualify for coverage. It’s Simple, Easy & Effective! Take a Look!